About | Insurance Service Group, Inc. Experience our exceptional service and attention to detail.  As a locally owned and operated insurance agency in Oskaloosa, Iowa, Insurance Services Group is committed to providing quality insurance products for individuals and businesses. We combine our strong insurance background and product knowledge to assist both current and future clients in managing and planning for all types of risk. Our team of knowledgeable insurance professionals is experienced in creating personal and commercial insurance policies designed to fit your needs. You’ll be paired with a professional at Insurance Services Group who will work to ensure that you receive personalized attention you deserve. Being raised on a farm near Sigourney, Greg Peiffer learned at a young age that one must do what it takes to get a job done. With over 30 years of experience in the insurance business he brings a wide range of knowledge to the agency to serve our clients. Family is of great importance to Greg. His wife, Diane, and daughter, Christina, are current members of the agency staff. However; his two other daughters have worked with the agency as well. Besides being the parent of three grown daughters he and Diane enjoy their 10 grandchildren. Greg is a graduate of William Penn University with degrees in Business Administration and Music. In his spare time he likes camping with family, volunteering at his church and serving on the board of a local non-profit radio station. Diane Peiffer is a partner to her husband, Greg, in life and at Insurance Services Group. 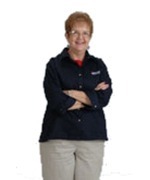 Diane’s role in the agency is an agent in crop insurance and the agency bookkeeper. She is the mother to 3 amazing grown women and a fun loving grandma to 10 grandchildren. When she isn’t found in the office she is staying busy with quilting, traveling, doing yard work or running around keeping up with family. 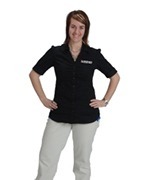 Christina (Peiffer) Montgomery joined her parent’s business in 2011 and has found a career which she loves. Chris has essentially grown up around the insurance business. In addition to managing the agency’s daily operations she also serves our clients personal and commercial insurance needs. Chris and her husband Kendall live in Sigourney. Christina’s favorite pastime is quilting, that is whenever she can find time aside from running their 4 kids to their various activities and functions. She has also been found fishing quite often, an activity that her husband loves to do year round. Joining Insurance Services Group in May 2016, Paul brings over 8 years of insurance experience to the group. Additionally he has over 20 years of experience as a business owner in the agriculture field. His unique skill set and experience round out the ISG team. He is driven by the desire to continue the agency’s outstanding customer service and product knowledge to match coverage tailored for each client. 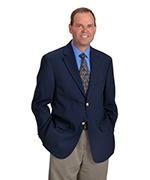 He is a licensed agent for life, health, personal, commercial, farm and crop insurance. An Oskaloosa resident since 1987, Paul and his wife Becky have 3 grown children and live in rural Mahaska County. He enjoys creating music, art and cooking in his spare time and is active in his church and serves on the board of a local non-profit radio station. Leslie Nuehring has been with the agency since 2010. 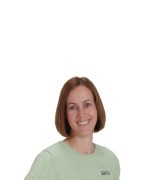 She is our expert in health and Medicare supplement insurance. She is normally in the office on Tuesdays and Thursdays or can be seen on other days by appointment. Between spending time with her husband Darryl, their kids, grandkids, great grandkids and friends, Leslie does a good job of keeping a busy schedule with various social and civic organizations. 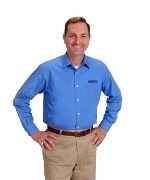 Jim Anderson’s insurance career began in 2003 and he started working with ISG in the spring of 2011. 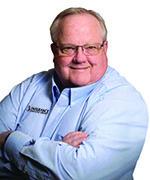 Jim specializes in commercial Property/Casualty, Worker’s Compensation and Group Health Insurance programs. Jim is a graduate of Oskaloosa High School and the University of Iowa. He is an active member of the B.P.O.E. Lodge 340 in Oskaloosa and the Iowa Enduro Riders Association. Jim lives in Oskaloosa with his wife Dawn and their children Shania and Tyler. When you work with Insurance Services Group, you’ll experience the exceptional service and attention to detail that you can only find with an independent insurance agency. In all aspects related to your insurance policy, whether it is quoting, writing, amendments or at claim time—we will make the process as easy as possible for you and do it in a timely manner. We don’t believe “one-size-fits-all.” We will analyze your coverage needs, make recommendations, and adjust a policy to work for you. We will be proactive in keeping you informed of new options that become available to enhance your policy. We make sure things get done from start to finish. We will follow through with all requests made in a timely manner and we will follow up with our clients on any ongoing processes, such as claims, to ensure things run smoothly. We will periodically review your insurance policy to ensure that the coverages you have meet your needs. We will also review other coverages available, find ways to further your coverage, and explore money saving options. We seek solid, established relationships with our customers. Our clients express confidence in the policies that we have created for them, that they have an agent on their side, and that communication is always available for them—even for the simplest of questions.